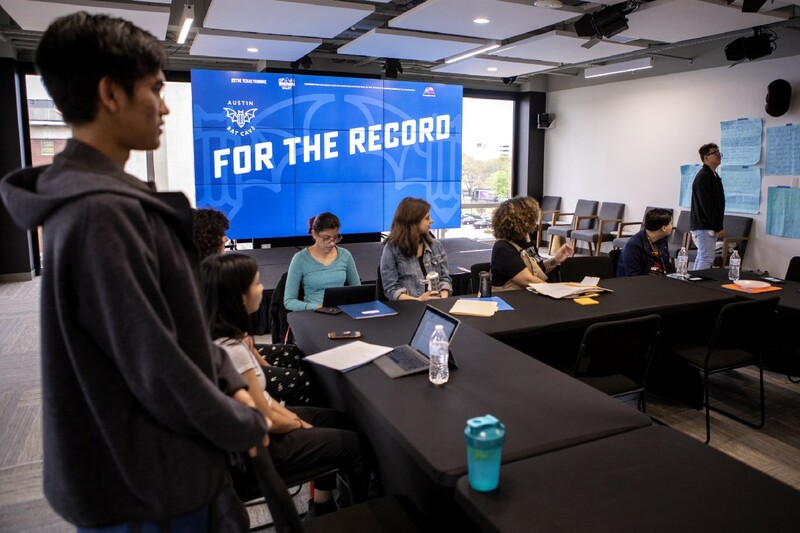 Last week, Austin Bat Cave spent three days at the Texas Tribune with more than a dozen high school students for our inaugural journalism & activism workshop—For the Record. 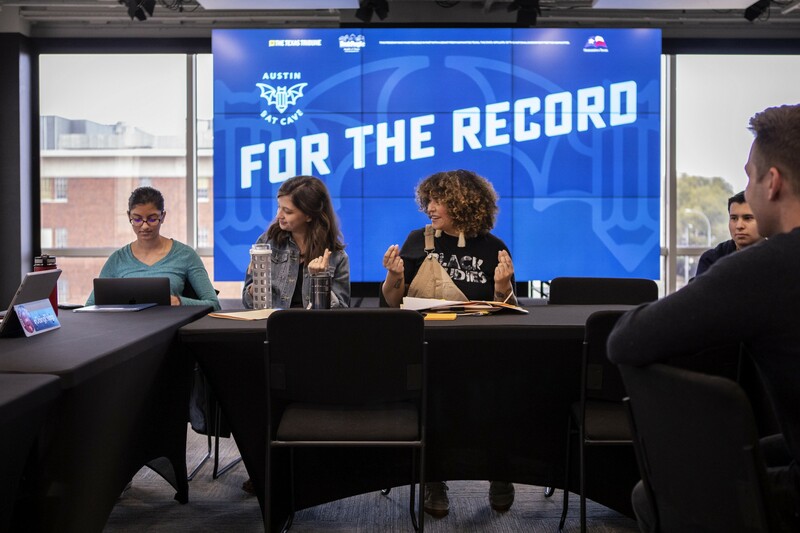 Participating teens represented different schools and nonprofit organizations including LASA, Lanier High School, Breakthrough Central Texas, Youth Rise Texas, and more. They dove right into conversations with our facilitators about political, social, and cultural issues impacting their generation. Spending time with these young leaders and hearing their passion, you can’t help but feel hopeful. 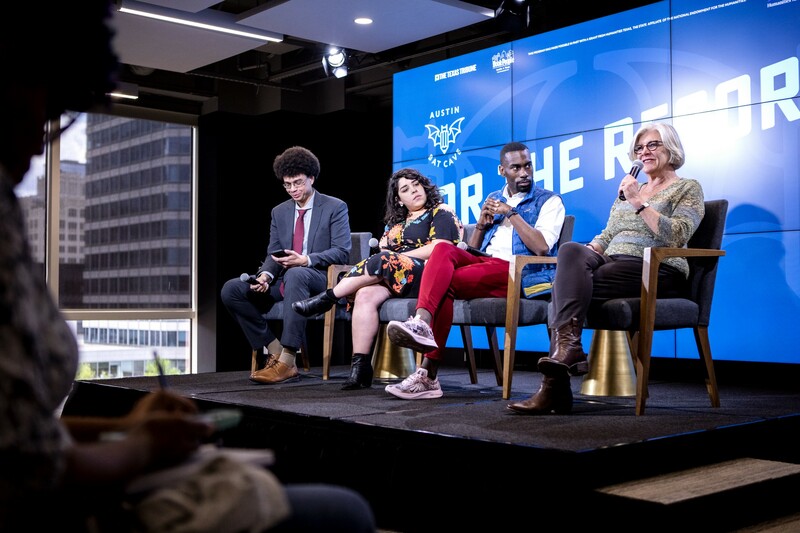 On the final day of the workshop, Austin Bat Cave hosted a public event at Studio 919 in the Texas Tribune—a panel conversation and Q&A with DeRay Mckesson, Ann Gerhart of the Washington Post, and Alexa Ura from the Texas Tribune. Before the event, students had the opportunity to meet with our speakers and learn about their work. 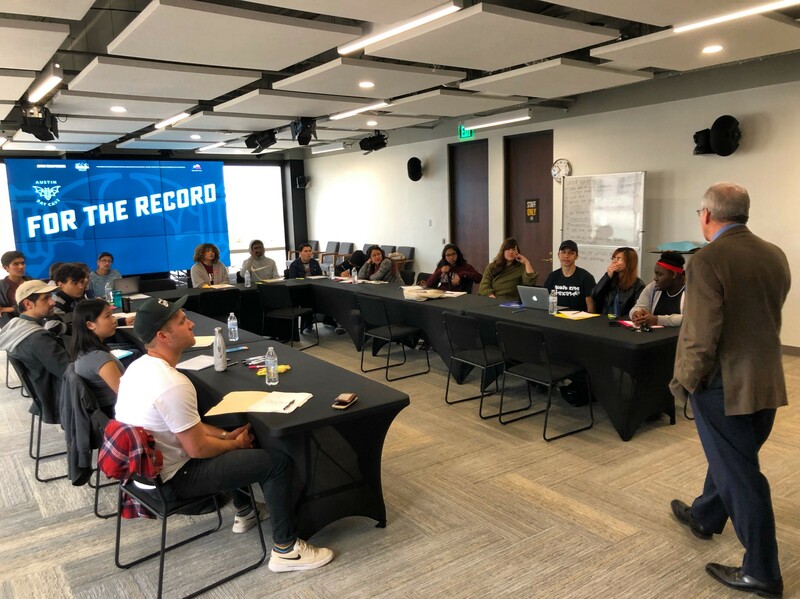 It is increasingly important for students to learn about fact-based reporting and how to read, process, and talk about the news. Austin Bat Cave also believes that it is crucial that students be represented in the news and media. Our goal for this workshop was simple: empower students to engage in and contribute to public dialogue on local issues. We can’t wait for you to read what the students have to say. Austin Bat Cave is a creative community. Our free writing programs empower students empower students to find their voices and tell their stories. To learn more about ABC and how you can support our mission, please visit our website.